Paul Marotta/Getty ImagesFacebook Founder and CEO Mark Zuckerberg delivers the commencement address at the Alumni Exercises at Harvard’s 366th commencement exercises on May 25, 2017 in Cambridge, Massachusetts. The UK data regulator, is investigating Facebook and 29 other companies over the use of data in political campaigns. The Information Commissioner’s Office is also investigating Cambridge Analytica after the research firm obtained tens of millions of Facebook users’ data. 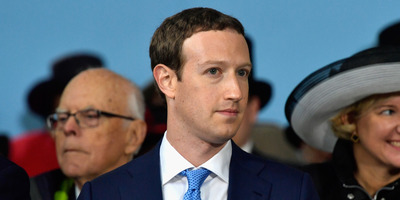 Facebook CEO Mark Zuckerberg has insisted that he remains the best person to lead the company despite the scandal. It follows the revelation that it improperly obtained tens of millions of Facebook users’ personal data. The ICO is also conducting a broader investigation into “how social media platforms are used in political campaigning,” and on Thursday it announced that it is investigating 30 companies as part of that – including Facebook. The investigation could result in “enforcement action” being taken, the ICO said. It isn’t yet clear whether the changes the social network has made in recent weeks to bolster user privacy are sufficient to comply with UK standards. In a statement, Information Commissioner Elizabeth Denham said: “Facebook has been co-operating with us and, while I am pleased with the changes they are making, it is too early to say whether they are sufficient under the law. On Tuesday, Facebook revealed that up to 87 million users’ data had been obtained by Cambridge Analytica – far more than the previous estimate of 50 million circulating in the press. The social network also announced a series of changes designed to restrict outside parties’ access to user data. In a conference call with reporters, CEO Mark Zuckerberg insisted he was still the best person to lead the company following the privacy uproar and previous scandals over fake news and disinformation. The ICO is currently in the process of investigating Cambridge Analytica, which is based in England, and raided its offices on March 23. “As part of my investigation into the use of personal data and analytics by political campaigns, parties, social media companies and other commercial actors, the ICO is investigating 30 organisations, including Facebook.